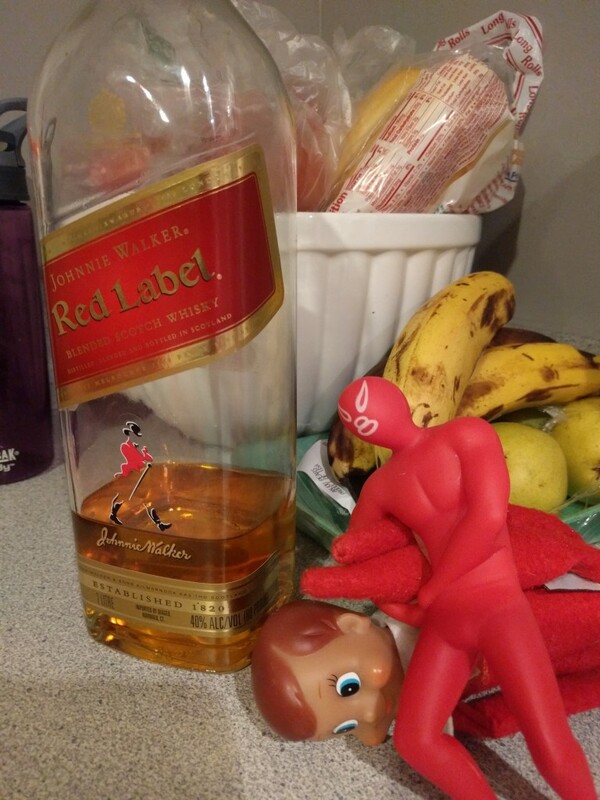 Chippy, our Elf on the Shelf, may have the commuting magic necessary to visit the northern fat guy nightly and the extortive powers to keep small people marginally well-behaved for a couple weeks each holiday season, but he’s apparently no match for Demonio Rojo, a washed up Lucha Libre wrestler from Tijuana. Demonio ended up in our Marblehead house after a drunken holiday binge in Salem; it’s unclear how long he intends to stay. That’s my shelf now, biznitch!